Expressing feelings and experiences through images can often be a more powerful communication than words. The overall aim of Art Therapy is to effect change and growth on a personal level, through the use of art materials, in a safe and facilitating environment. Art Therapy is a three way process that focuses on the use of art materials and the relationship between the therapist and the client. 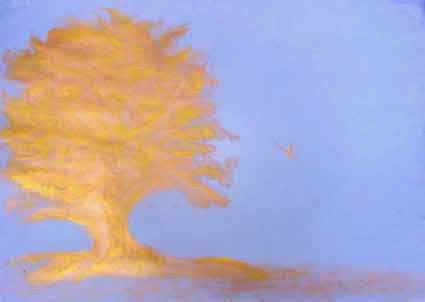 The Art Therapist and client are in partnership, working together to understand the meaning of the image. Art Therapy is for anyone of any age. You don't need to be 'good at art' to benefit from Art Therapy. You can find information about the benefits of art therapy by clicking the green buttons to the left.